Destiny Bathroom Furniture Range - From Only £101.99! In stock now from just £101.99 including VAT! Hurry while stocks last! 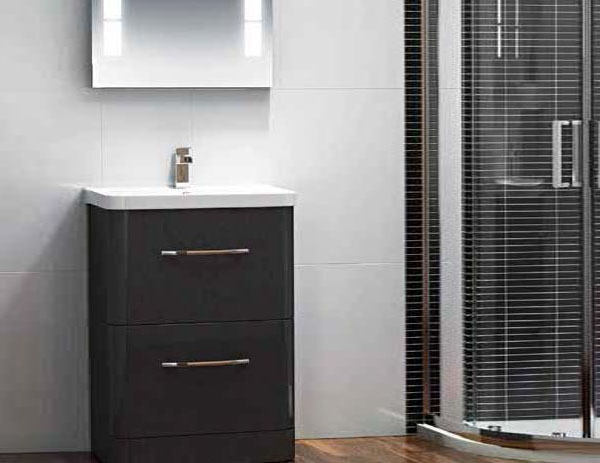 The Destiny Bathroom Furniture Range from Synergy is a must-have addition to any modern bathroom, thanks to its state of the art looks which are specifically designed to compliment a wide range of bathroom styles. 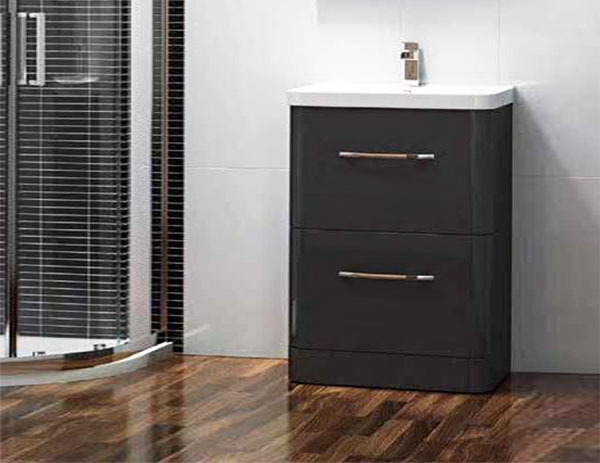 With their eye-catching rounded edges and their air of stylish practicality, the Destiny bathroom furniture set has a lot to offer any bathroom. Available in a choice of two stunning colour schemes, this designer furniture range will make your bathroom a much more memorable and eye-catching room in which to take a soak. Modern curves to compliment a huge array of bathroom styles and types. The problem with so many bathroom furniture sets these days is that they only match certain styles of bathroom - furniture that looks great in a cubist, modern bathroom would look out of place in a more traditional setting. This is not the case with the superb new Destiny range from Synergy. Specifically designed to work in a myriad of bathroom settings, this modern yet subtle furniture set is designed to be the perfect partner for any home. Thanks to their designer looks and modern stylings, the furniture items in this range will not only make your bathroom the envy of your neighbours, but will also stand the test of time by still looking great in years to come. 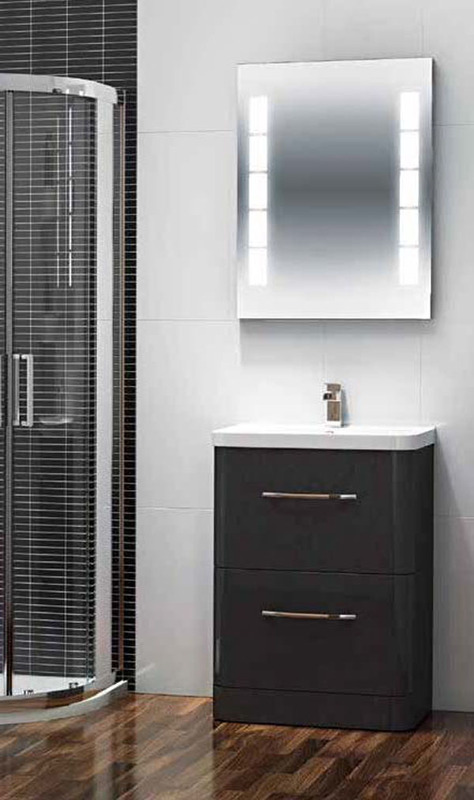 Available in a choice of clean, crisp white or a striking and modern dark grey, the Destiny furniture range is an ideal way to make a statement with your bathroom renovation. 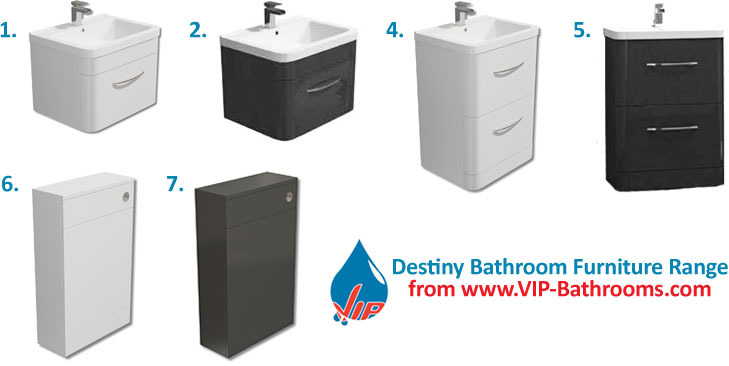 The Destiny bathroom furniture range offers unbeatable variety.